Do you need to sell your house? Or do you just need a laugh? Well if you need to sell your home I promise not to make the same mistakes in the following videos – I think you should inquire from my previous clients of mine as to their satisfaction from having worked with me. Helping people find the home in which they will raise their family, or spend their golden years is my job, and it is truly a treasure… I get to work in a very personal industry, and that may be my favorite part of my job. And it’s hard to put into words the joy I get from helping people sell their house while making sure that I honor the sentimental and financial value of their home. If you don’t need to sell or buy a home, and you just want to laugh I hope that you enjoy the videos below. *Sorry if the misspelling joke offends you, it’s intended to make your day better. Incase that wasn’t enough here are more hilairous listings compiled by Buzzfeed. 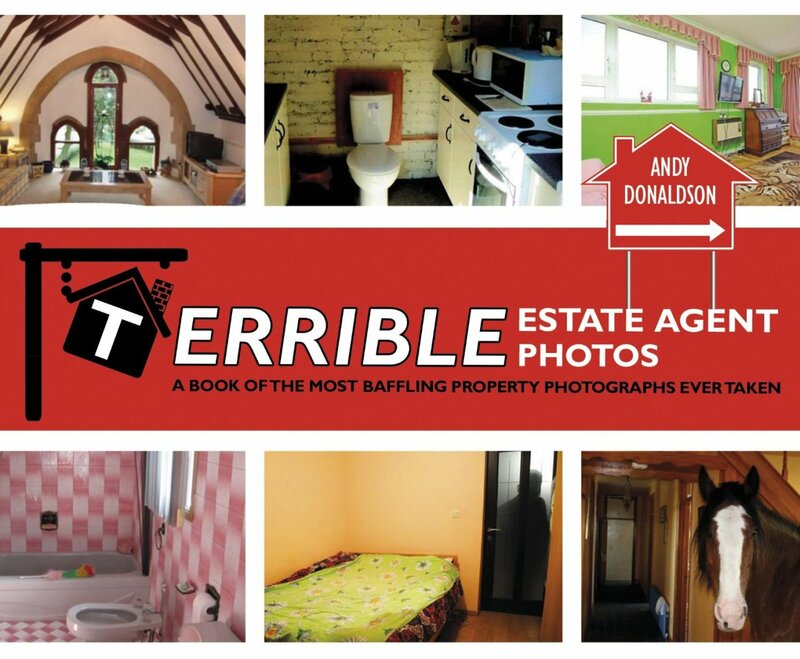 While looking for a house in 2013, Andy Donaldson noticed that there were some really awful property pictures out there. So he did the sensible thing and started a Tumblr, collecting pictures from around the world. The site went viral that September and has had around 7 million visits to date, with the United Kingdom, Canada, Germany, and Australia providing most of the visitors. 1. Nice touch by the organisers of the firing squad to give everyone a seat. 2. “Bless this house” is more traditional. 3. Tragically, this is what happens when a Smurf bursts. 4. If you don’t mind doing a poo in a kitchen, you probably won’t mind doing it next to a window either. 5. Something awful must have happened on this toilet for the owners to have erected tidal defences. 6. This is called this the “blue room”. 7. The man-sized stuffed fox from your nightmares is a unique feature. 8. Potential buyers are advised not to think about what happens in this room when your back is turned and the light begins to fade. 9. If you for some reason have to feature the tenants in your property’s picture, you could at least let them get dressed first. 10. Top tip: Save on expensive photography by using images provided by paranormal investigators. 11. The owners say the pool will be dredged before anyone moves in. 12. This photo makes it completely clear which house is for sale. 14. Never stand in line waiting for the toilet ever again. 16. If you ever hide a body in your attic, maybe leave the country before the estate agent comes ‘round to take some photos. 17. A rare example of what architectural historians refer to as a “fertility window”. 19. After weeks of waiting, the estate agent finally captures a pair of wild mattresses at a watering hole. 20. Something doesn’t look quite right about this one. 21. This house comes with a WHAT IS GOING ON discount. 23. Attention to detail is very important. For example, here the agent has dragged the body outside before taking the photograph.